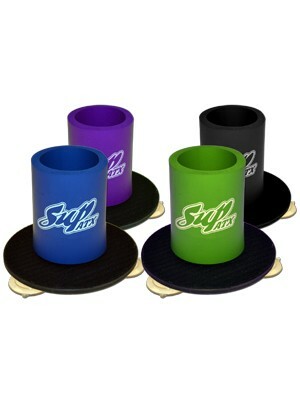 SUP Buddy Koozie - FREE SHIPPING! This is a great gift for anyone who owns a standup paddleboard or for anyone who likes to enjoy paddling with their favorite beverage safely on board and within reach! This koozie will stick securely to most any slick surface and is removable for years of enjoyment wherever you decide to take your SUP Buddy! Available in four different colors. Sold individually. Free Shipping in Continental US.